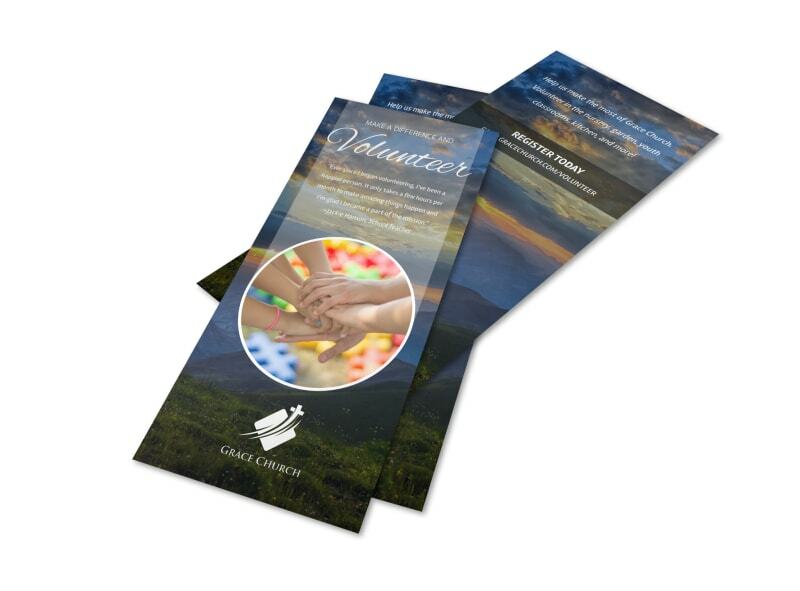 Customize our Make A Difference Church Volunteer Flyer Template and more! 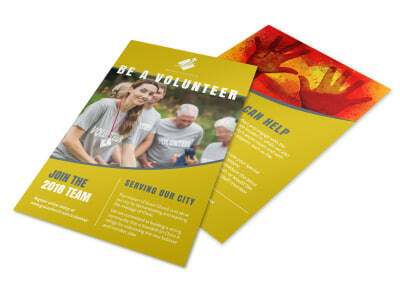 Encourage congregants and others to volunteer and make it count with this flyer that you design yourself. Easily customize this template with high-res images and swap out the color theme and other elements for a customized design. 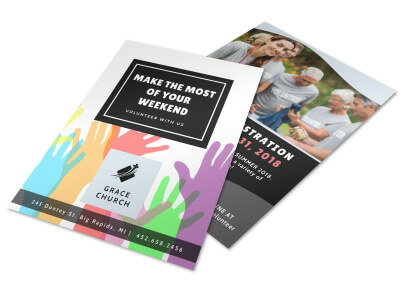 Start designing your flyer now, and have it ready for printing in no time flat.